As mentioned in the last post, December and January seemed to swallow us whole, but there are a few other odds and ends that have happened that I haven’t posted about. Like purchasing this reproduction pendant light for the closet area. I mean, it’s still in pieces and not installed and not together, but the fact that it’s in the house – well, I’m going to call that progress. 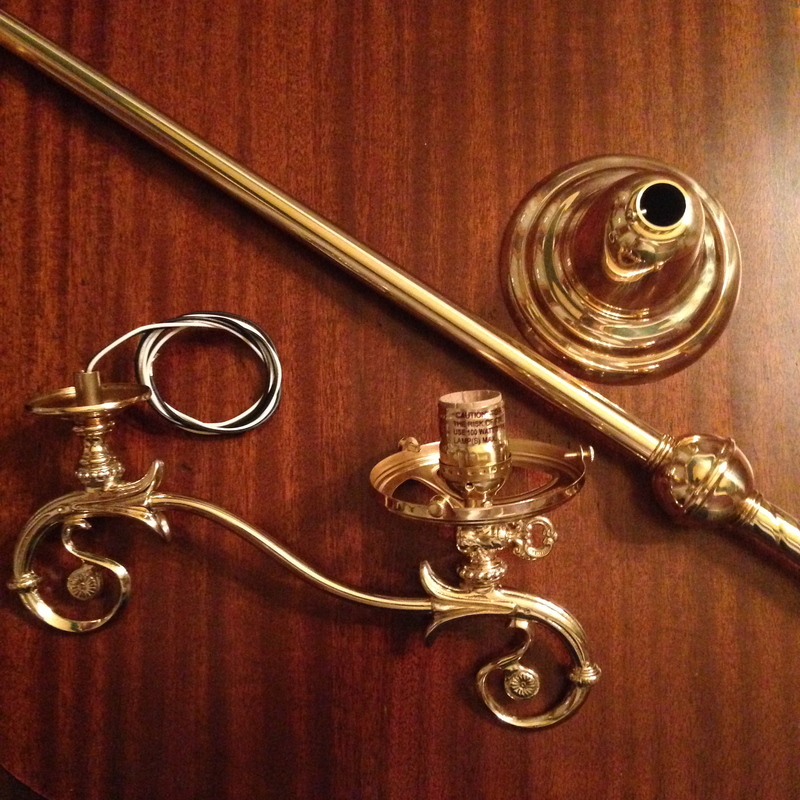 I also continued to play off the gold theme in the room, and sprayed the hardware for the wardrobes gold. Don’t worry – these aren’t antique, or even old. So I didn’t ruin anything by painting them. 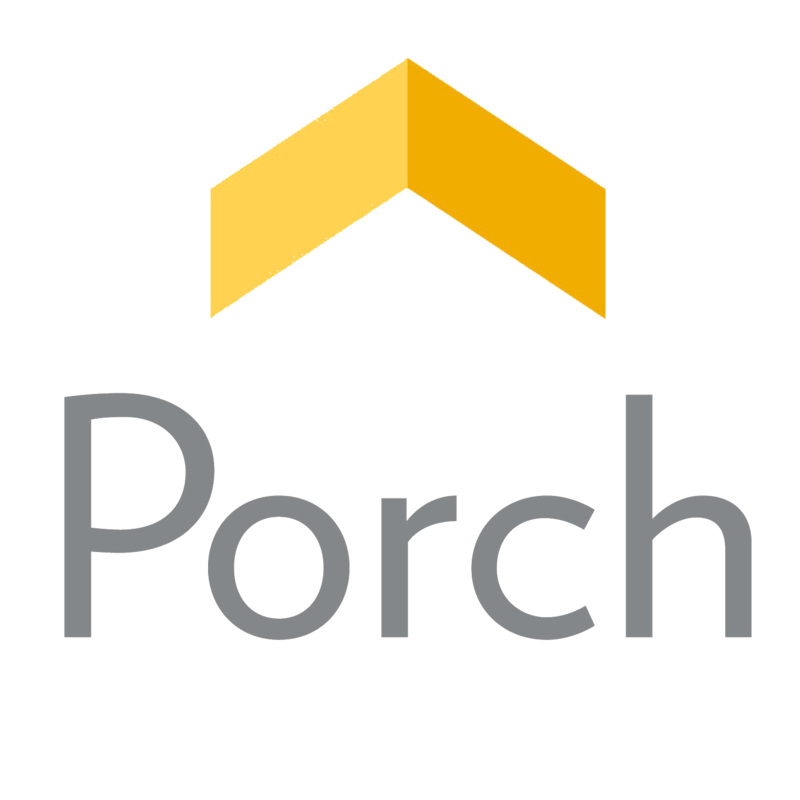 Again, at this point, doors to PUT this hardware on didn’t even exist, so, once again, it’s progress that doesn’t take us anywhere. But that’s reality – anyone who puts up before and after pictures and makes it look easy, or makes it seem like things actually went in a logical way or logical order, isn’t telling the whole story. THEY HAVE LIONS ON THEM. These will be for the large lower doors. 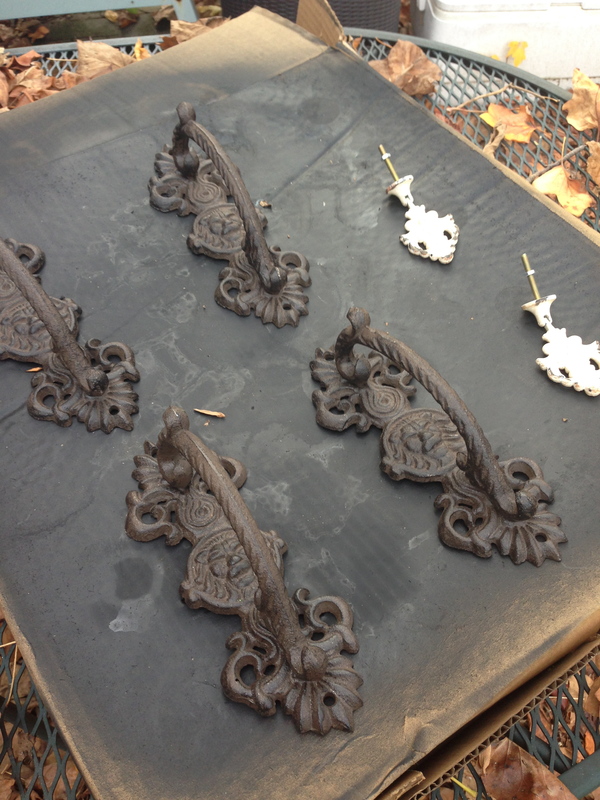 These dangles will be for the upper doors. And, gold. 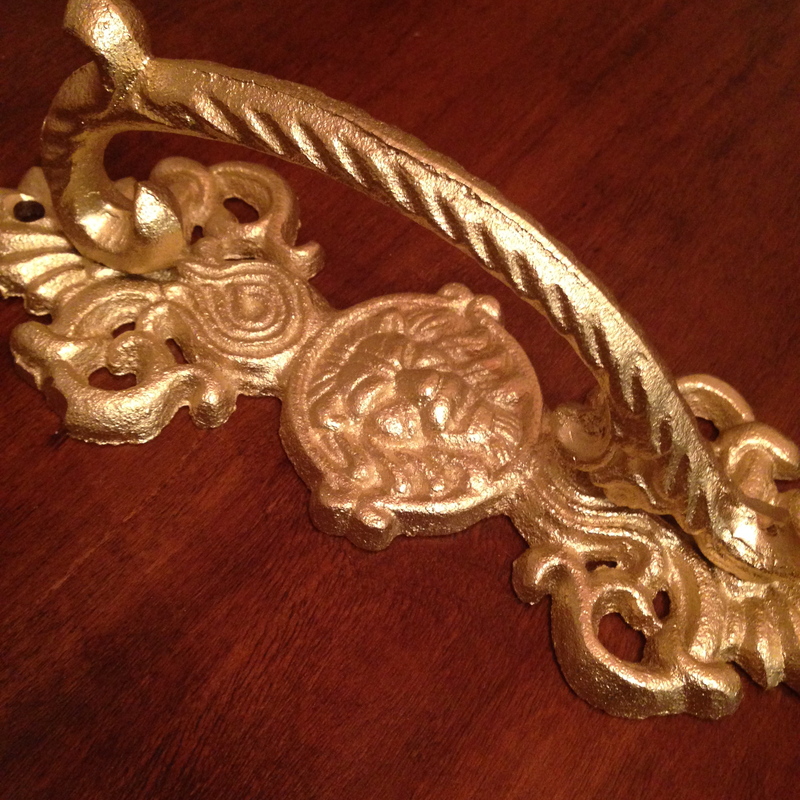 I think this will look great with the other gold fixtures that will be in the room. We worked on about 6 smaller projects simultaneously, so if it looks like we went back in time, we did. But I opted to organize my blog posts into groups and projects that made sense, and not necessarily chronologically, because then it would be completely bizarre and nonsensical. So, the picture below shows that there is no anaglypta yet. The good news, is that you get to see the ivy wallpaper ONE MORE TIME. 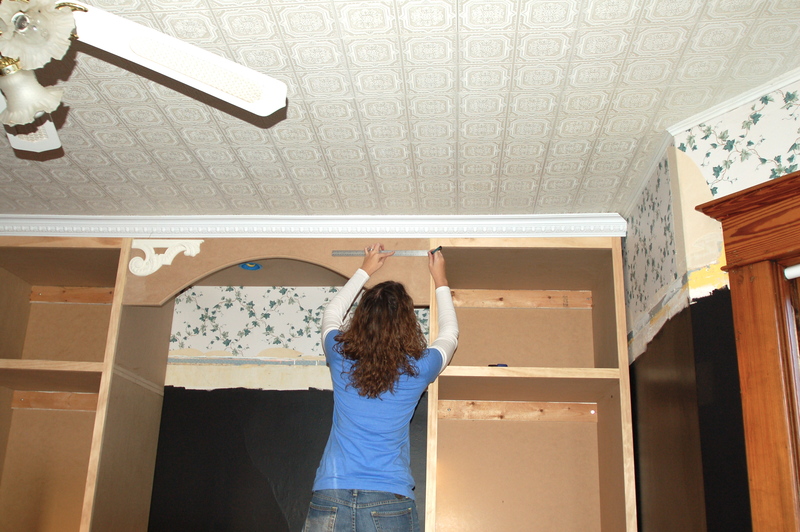 Getting the wardrobe ready for paint, we installed and continued the crown moulding around the top, and put some appliques on the top for a bit of detail. 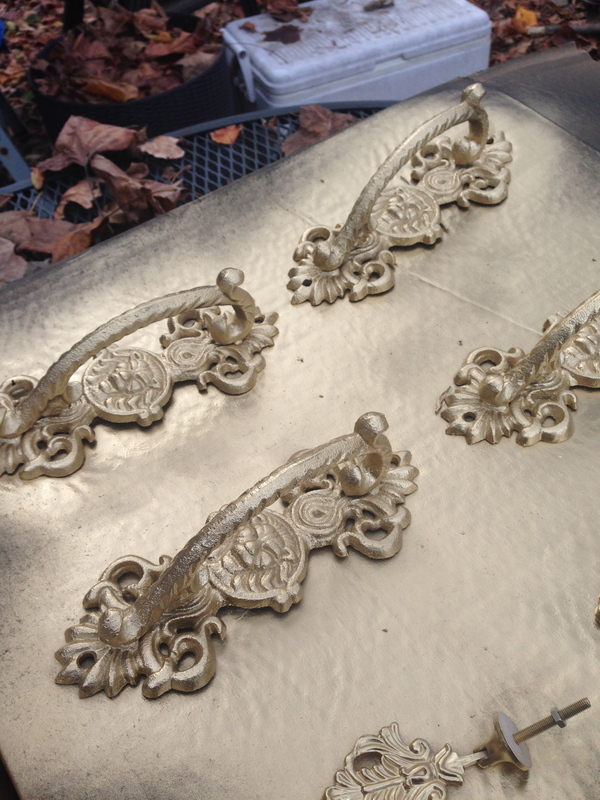 The appliques I picked out are actually detail pieces for the sides of stairs. They are really inexpensive, and I just ordered a right side and a left side for a touch of character. You can see what I ordered here. 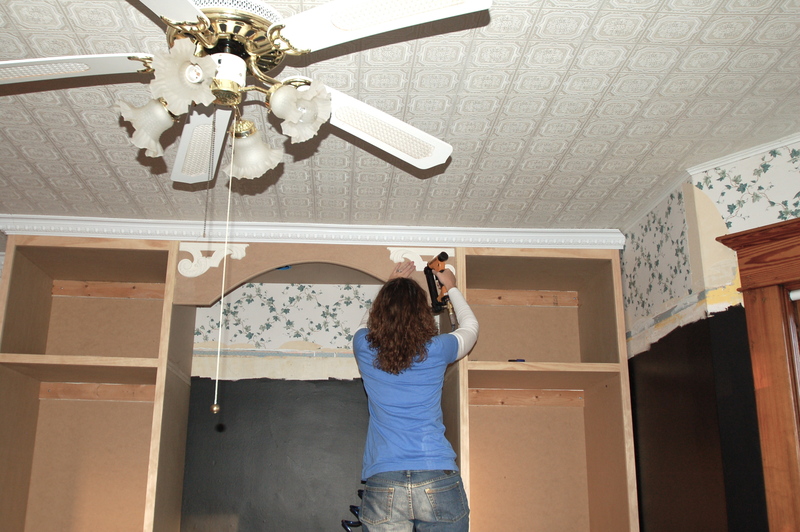 Next, I painted the inside of the wardrobes, because I’m a big fan of hidden pops of color. They just make you smile. 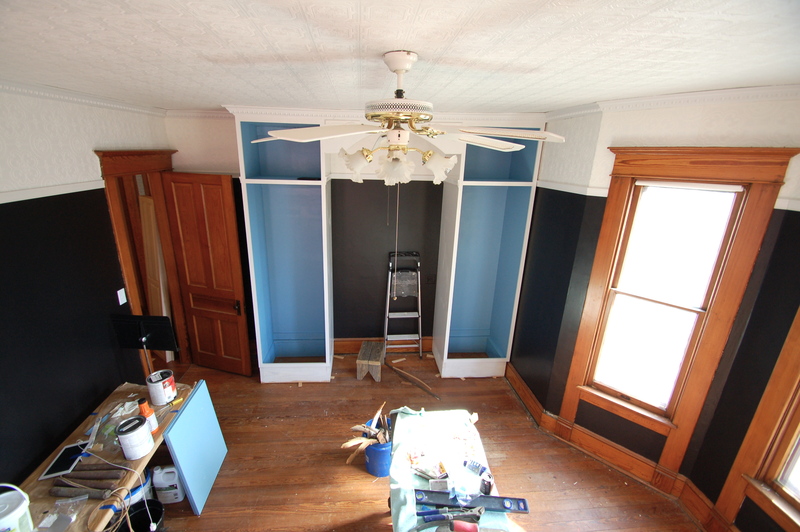 I pulled this blue color from the rug that’s eventually going in the space. It’s such a pretty shade – much richer than a pastel, but not too bright or too dark, either (also, clearly, it’s still Christmas). 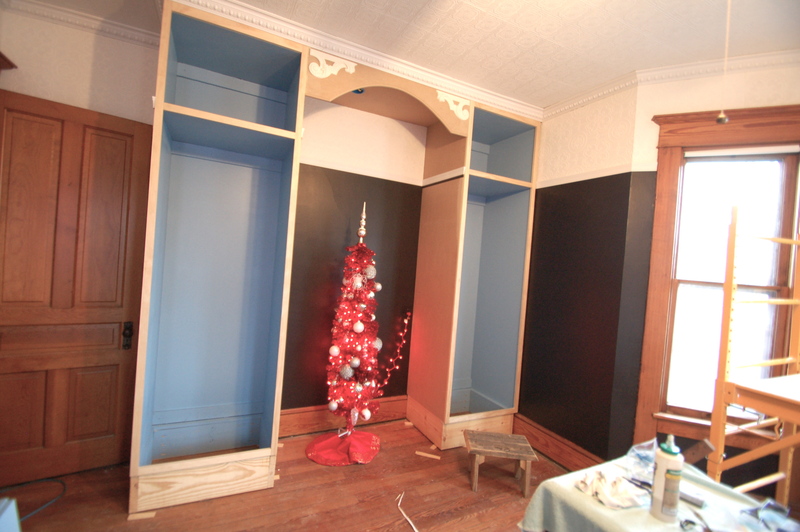 Next, the outside of the wardrobe was painted white. 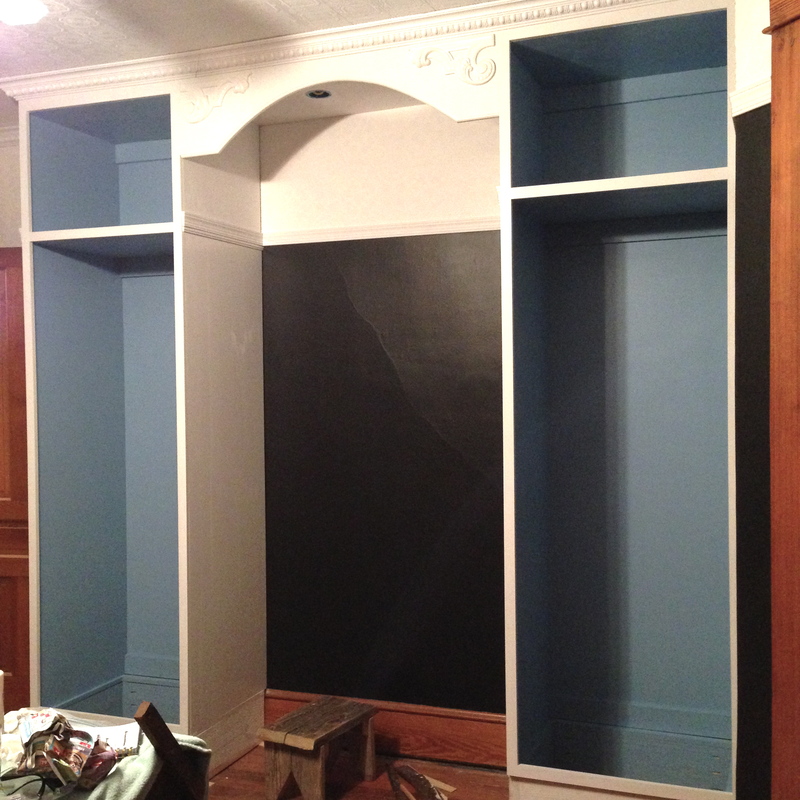 This is after two coats – it took three to fully cover the way I wanted it to. SO GREAT! That hole in the “ceiling” of the wardrobe bridge, will be where the light from the beginning of this post will eventually go. 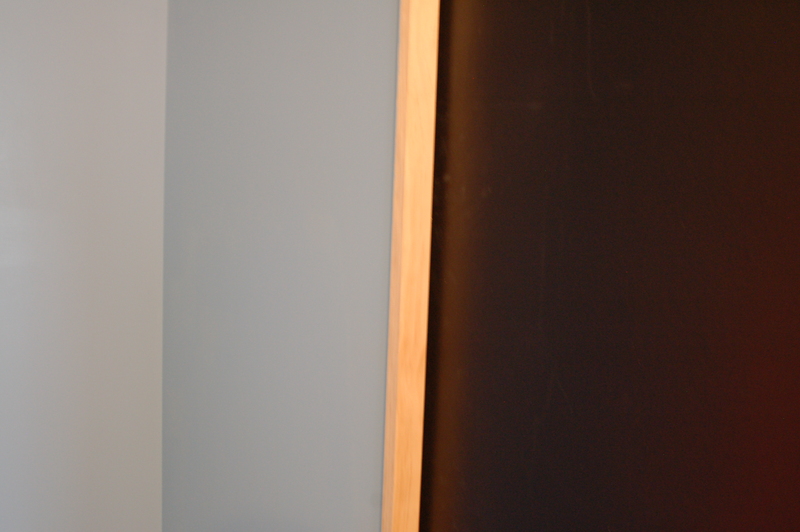 I also started working on the staining of the baseboard to go around the bottom of the wardrobe. I’m attempting to match the original baseboards, and I think I may have gone a bit too red, but I’m going to keep playing with it. I used four different colors to try and get the depth of color that currently exists. 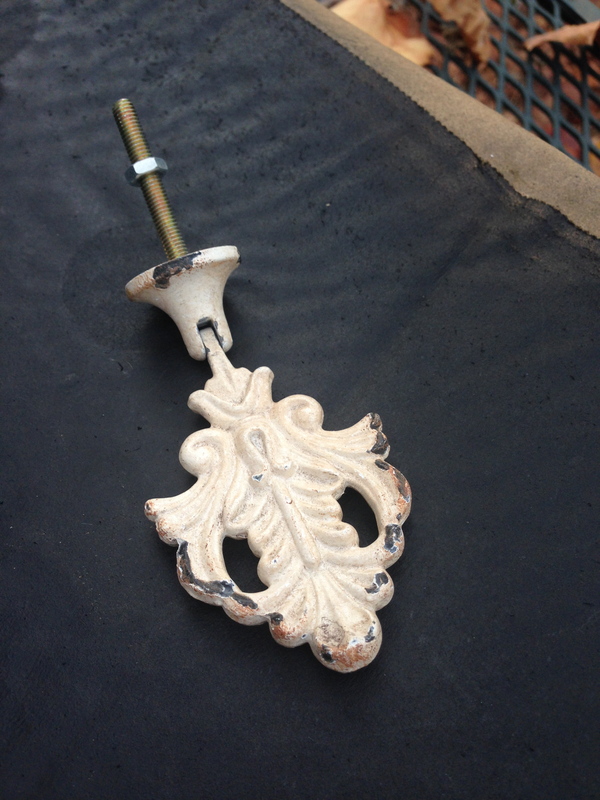 Here’s a piece of the room trim against what I did. It’s not perfect, but it’s not awful either. Again, I’m not quite finished yet. The next dilemma (chime in if you want!) 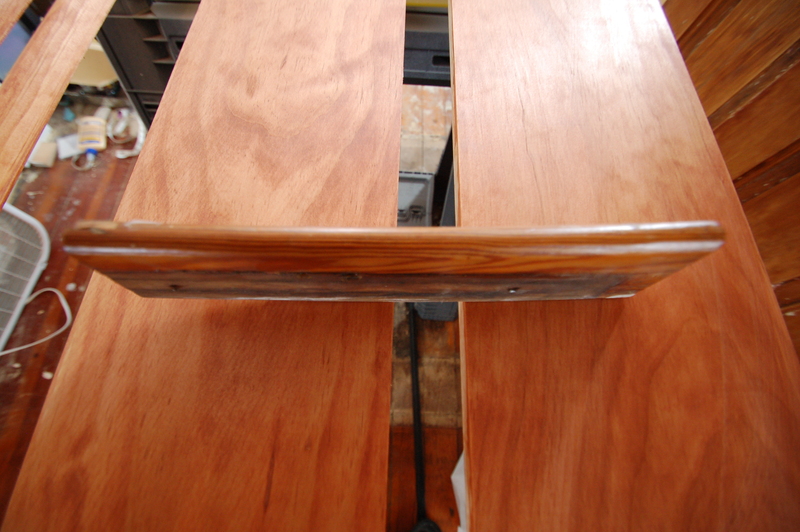 is where to put the hardware for the doors. The doors are custom, and I knew the placement would be weird. 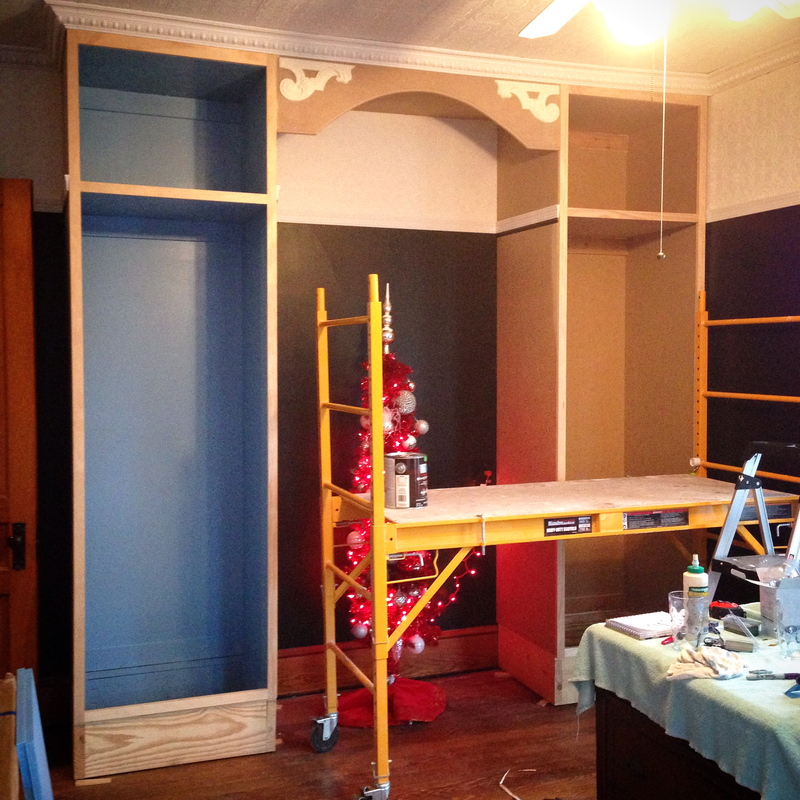 Initially, I was going to put them in the middle of a panel – there will be four doors, two on each lower bay. But then I started thinking about this weird placement, and it’s just quirky enough that I like it. But feel free to tell me you hate it. I still haven’t decided. The problem, is that the doors are SO BIG that they really do need something substantial and with weight to ground the wardrobe. 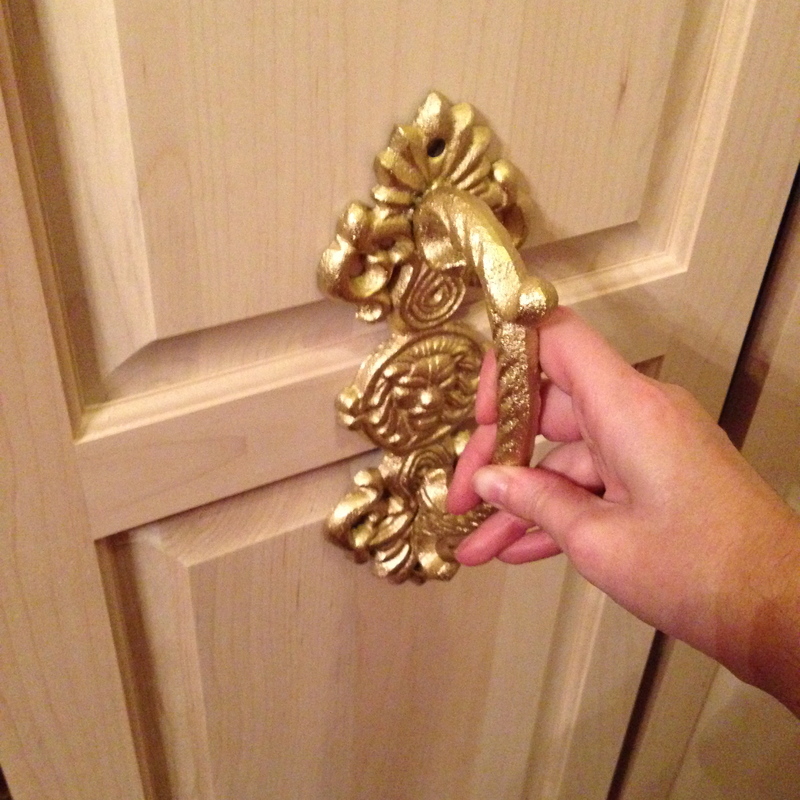 So, putting a traditional cabinet handle on the almost 7′ tall doors would look weird. You know me, I’m a fan of quirk. So I like it, I’m just worried because it’s SO out of the box. Almost every single picture in this post was taken at night, so here’s a nice, bright, not-grainy picture of the room, as it looks now, with all the sunshine in the world! 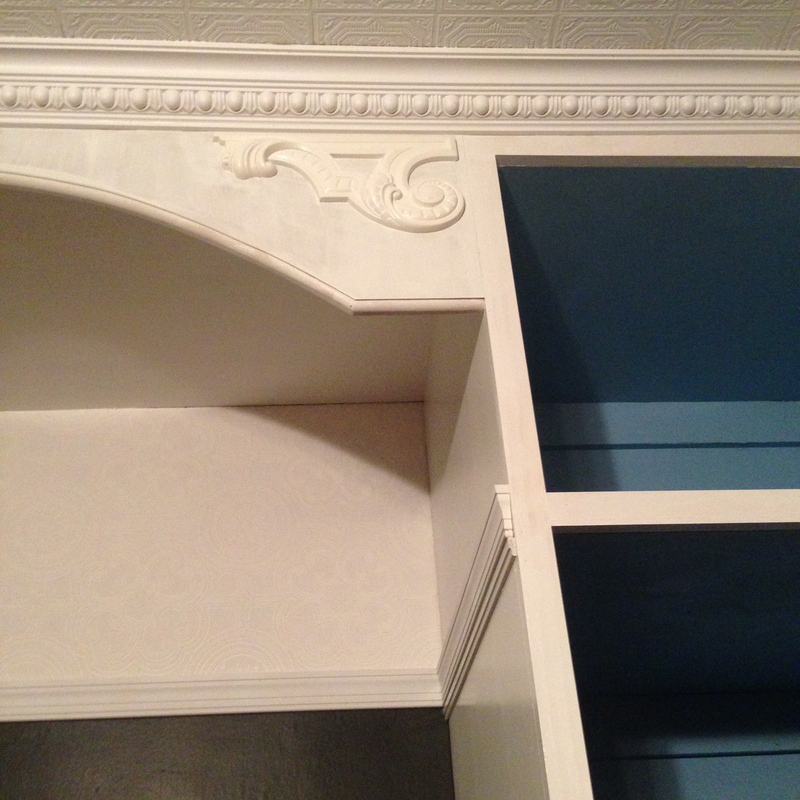 My wife had great luck matching stain on crown molding. She brushed on and wiped off the cherry color first then did the browner shade and wiped. She played with the wiping time and preasure to get the color match. It was easier than mixing cans together. I agree! That’s exactly what I do – layers of different colors. So much easier! Beautiful! 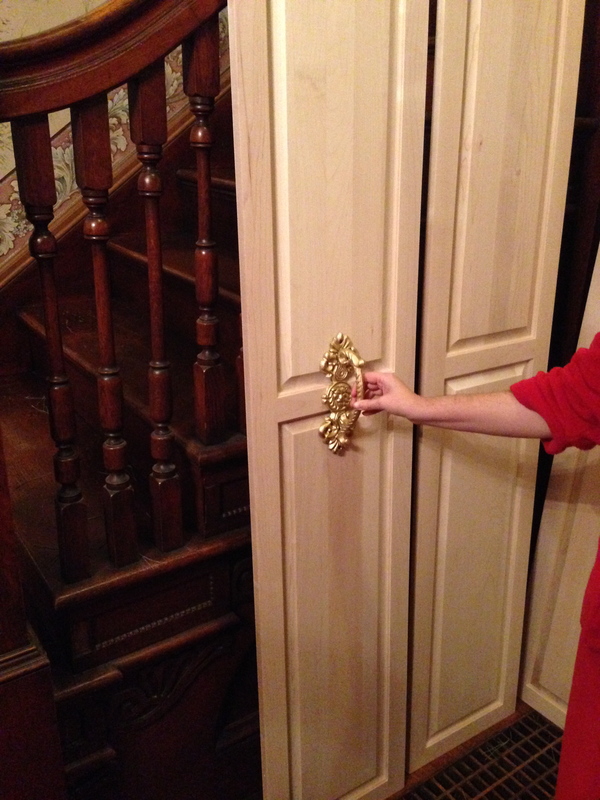 I like the handles in the middle of the doors…for what it is worth! I like the handles in the middle of the doors, too. As several other people have mentioned, the handles in the middle of the door look awesome. 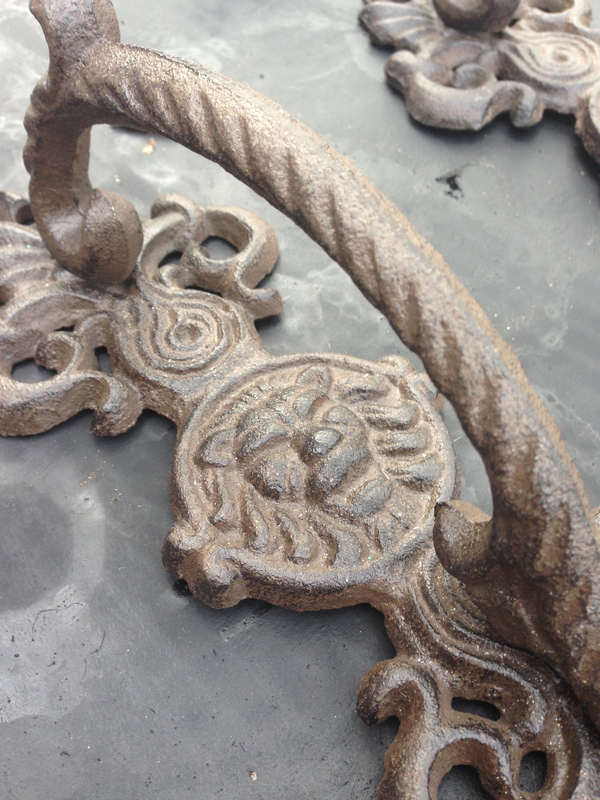 If I every spot some door fittings with lions on them I would buy them too. A great choice. Your house is beautiful. Now that I’ve found your blog, I’ll enjoy watching your projects. BTW, you said those were 7-inch tall doors. Not a big deal, but you might want to correct your post. That stain looks pretty good. 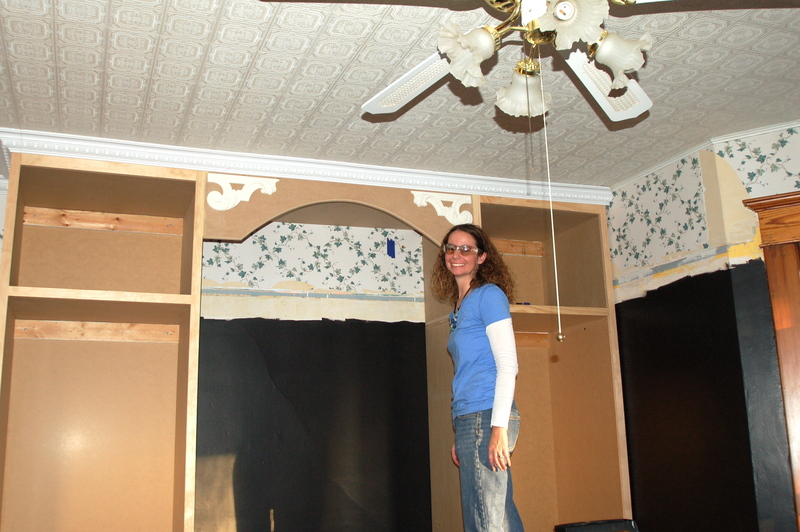 I’ve also had the challenge of trying to match softwood on our upstairs millwork. 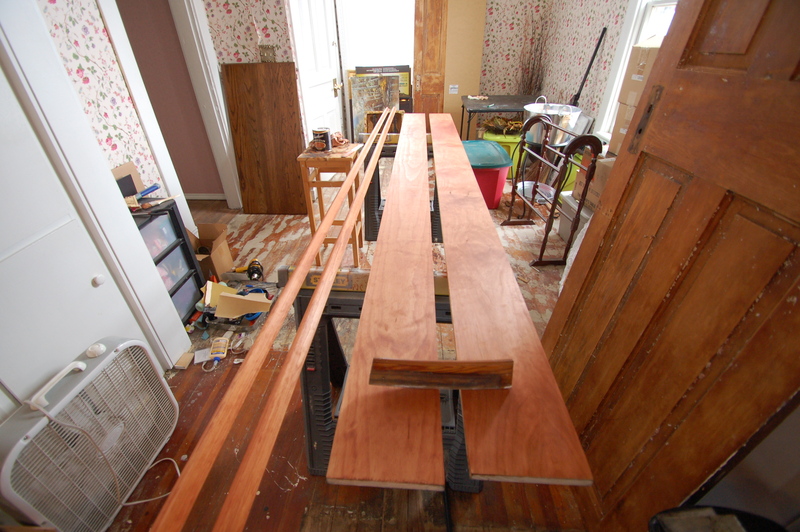 Our downstairs is oak, and Minwax Red Mahogany, finished with three brush costs of Amber shellac is a perfect match, but the old-growth pine upstairs is tricky! I think I’m getting pretty close on my latest attempt. 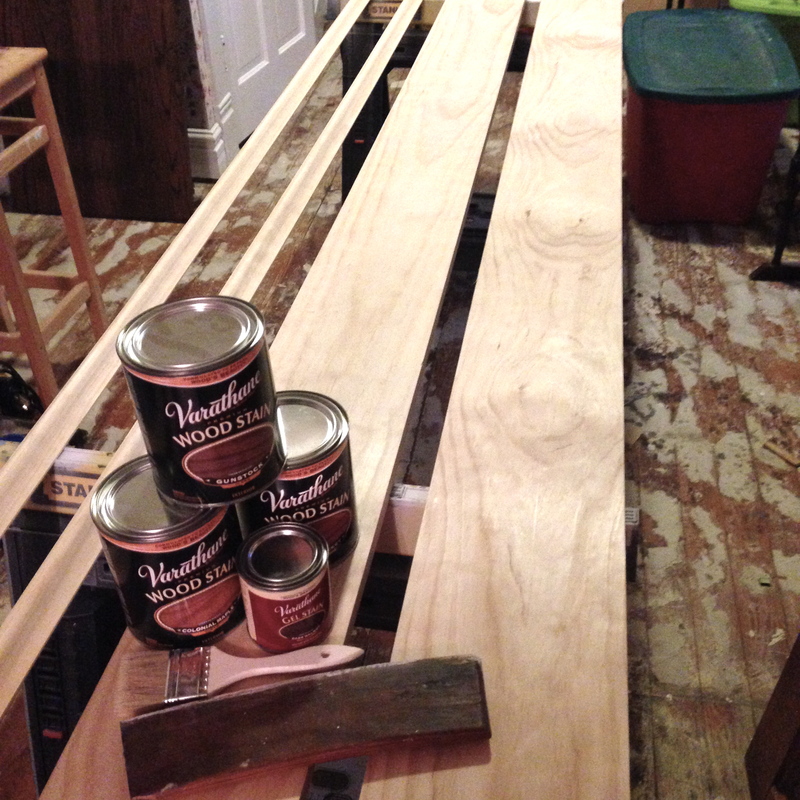 Instead of multiple coats, I’ve been mixing shades of stain. I made a long pole with bands of different stains, shellacked it, and then can take it around the house and find the best match. If a stock color doesn’t match to my satisfaction, I take the two closest ones that have the right shades, make a small blended batch, and a new test piece. I still need to do one more mix, but I think I’m really close. That’s TOTALLY my process, too! And I love Amber Shellac. It always seems to make everything seem better to me. Sometimes I think blending stains makes me feel a bit like a chemist. Which is super fun.